If you've never read 'Outlander', then you're in for a treat. I half envy you, because I will never again be where you are - on the cusp of discovering this universe for the very first time. Racing through the pages, unknowing of what will happen next. But then I'm in a good place myself too. I've read these novels over and over again. Even in knowing what comes next, it never gets old. None of it. You will fall in love with characters and places, scenes and dialogue, moments in history so real that you'll swear they actually occurred. Perhaps they did. After all, people all over the world have imagined them keenly enough that surely something now exists. Hopefully Jamie Fraser, and Claire too. 'Outlander' is merely the first in a series of (to date) eight books, and plenty of spin-off tales too. You'll be very glad of that. It was called Cross Stitch in my native Britain. 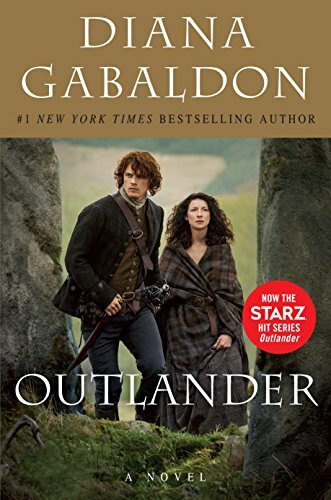 Apparently the publishers didn't want the novel to be confused with Australians, though why Outlander should suggest the fine denizens Down Under to us was never quite explained. Back in the States, the publishers there worried that Americans would think it was a story about sewing, so they promptly changed the title back to Outlander. Even in Britain, we call it that too. And Outlander is worth any amount of discussion. I've known about it for years. Lived and dreamed it too. Back in the day, an American friend asked me if I'd read the book. She checked both titles with me, and when I said no, she didn't bother to ask if I'd like to read them. She just sent the first three novels over the Atlantic to me. 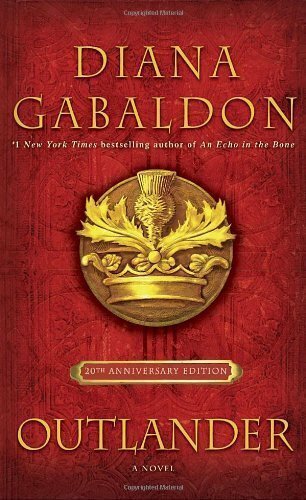 Decades on, I can still say that Diana Gabaldon's Outlander series amounts to one of the best stories that I've ever enjoyed. These aren't one off reads. You'll dive in time and time again. There's no coming back, once you've gone through those stones. These books are identical. Just the covers have changed. The blue one is the original, a Starz TV tie-in edition is in the middle, and the 20th anniversary edition on the end. Diana Gabaldon swears that the standing stones are fictitious. Waves upon waves of fans have scoured the Highlands looking for Craigh na Dun anyway. You must be wondering by now what Outlander is all about. Let me bring you into the loop, or in this case the stone circle. Though trust me, a synopsis is barely worth pausing over. I've never known ANYONE (male, female, young, old, whatever nation) who hasn't loved every word of it. After the end of World War Two, Claire Randall is in Inverness with her husband Frank. The couple have barely seen each other since the war began. Call it a second honeymoon, or rediscovering who they married all those years ago, before active service sent them to different battle fronts. What it amounts to now is a lot of sight-seeing, picnics, driving across the Scottish Highlands, and visiting its ancient stone circles. Except there is something in Claire's genetic make-up which doesn't factor for Frank. Something that burns red hot, when she touches those megaliths, and which eventually pulls her right through. The wartime nurse is now in landscape which looks very familiar, but only because those lonely stones haven't altered much in thousands of years, let alone a mere two centuries. She's in 1742 and her English accent won't save her from marauding, sadistic red-coat soldiers. But the Highlanders might. Outlander is a story about a woman desperate to return to her own time, yet finding a 6ft 3", red-headed good Gaelic reason to linger. It's also a tale about war, survival and the horrors of an Occupation. It's about knowing terrible things before they happen, then exploring the philosophical and moral imperative to stop them (Culloden anyone?). 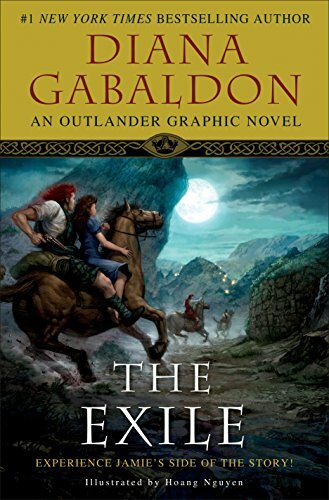 And it's about everyday life in 18th century Scotland too - the clan system and the tartan, the warriors and the cattle thieves, the clash of religions and ways of life, the witch trials and the fairy faith. The story told from Jamie's point of view with great artwork too! 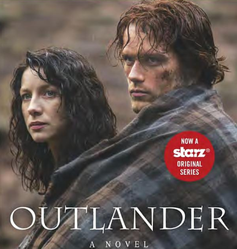 There's a reason that Outlander had a 20th anniversary special edition published, and why Starz is adapting it - amidst MASSIVE international anticipation - and why I'm raving about it here. It's an addictive tale, brilliantly told. Pure and simple story-telling at its best. Since then, the novel has been translated into nineteen different languages and frequently hits the most read literature charts around the world. Its sequels rush onto the New York Times Best-Seller list as a matter of course. 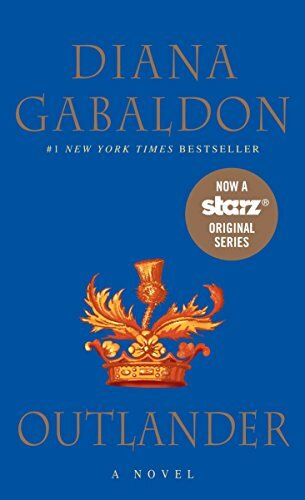 This week, the coming Starz adaptation has caused Outlander to suddenly reappear yet again amongst Amazon's top 100 most sold books. There's no doubt that it's about to take over the globe once more. And I, for one, am grinning like a loon at that. You're welcome. This is a series that I have ABSOLUTELY no problem bigging up. I've lived with it for twenty years and my enthusiasm for it shows no sign of abating any time soon. And yes, I know that magic very well. I love reading. As you may have guessed. I half envy you, because you've got all of this magic to come. There's nothing quite like starting out on a series that you know is wonderful, and knowing that you get to enjoy it all for the first time. It's totally and utterly worth the addiction! One more thing you'll get me addicted to!